Remember how everybody said Bong Joon-Ho's Snowpiercer was great? And remember how Harvey Weinstein wanted to re-edit it for stupid Americans? And then remember how Bong said Weinstein's cuts were light? 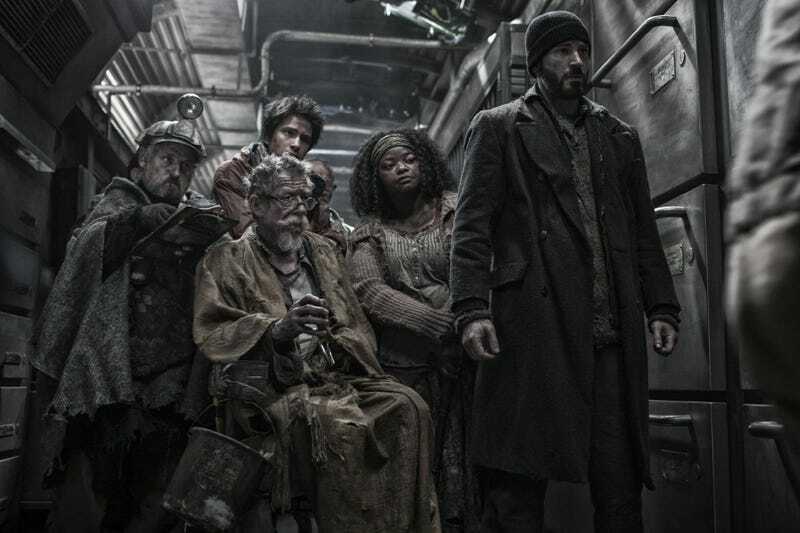 Well, screw all that, because now the director is pissed about the U.S. version of Snowpiercer. Loki reveals why Thor: The Dark World is a secret Avengers sequel! [Bong] said that the final cut of the film in English-speaking territories lies with The Weinstein Company. “We are still in discussions about the cut, but it is clear that this is the only director’s cut you will be able to see,” Bong said. Bong did not provide details of his differences with TWC and understatedly said from the stage that the version for English-language release would be “a little bit different,” but sources close to the director say that privately he is furious. He has been quoted in other media as saying that up to 20 minutes are to be cut. That sounds much more like the edit-happy Harvey Weinstein we know. Also: crap.